Christmas and celebration background loop. Defocused snow or glitter. Sparkly gold hexagons on dark red background, with copy space on the left. In 4K Ultra HD, HD 1080p and smaller sizes. 4k00:14Bokeh Lights Background. Moving Particles Abstract Background. Seamless Loop. 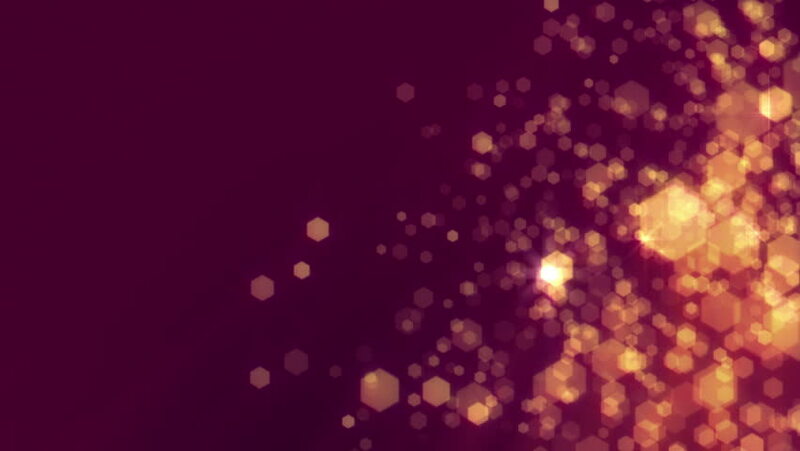 hd00:12Glittering Red Particle BackgroundBeautiful red background with flying particles. Seamless loop.